As we have talked about before, there is a federal MDL for all Tylenol liver injury lawsuits. The cases filed in federal court are all consolidated for discovery in a class action type claim in Pennsylvania. In other words, a Tylenol case filed in New York or California federal court gets transferred – at least for now – to Pennsylvania. It is incredible that now, even after all of these suits, there is such little public awareness of the liver problems that Tylenol can cause. The statistics are downright stunning. That guy that lives next door who has chronic knee pain or the woman at work who suffers from severe headaches just don’t know this. The parents of children taking Motrin and Children’s Tylenol don’t fully understand the risks. They need to know and Johnson & Johnson/McNeil have a duty to tell them about it. Loudly. But let’s face it, if they put these stats on the box, a lot less of this product would be sold. But McNeil has always promoted Tylenol as a remarkably safe pain reliever: “recommended most” by doctors, “used most” by hospitals and all of that. McNeil has tried to a little something. 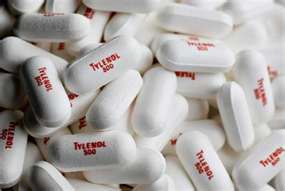 In 2011, it lowered the maximum recommended dosage on Tylenol from 4,000 mg per day to 3,000 mg per day. But these lawsuits are sending a loud message: they are just not doing enough and people are being badly hurt as a result. There are also Tylenol cases pending in some state courts. In these cases, as is often the case in drug mass tort injury claims for a variety of reasons, there are a number of state court cases pending in New Jersey. In this case, McNeil is located in New Jersey which defeats diversity jurisdiction that would allow for them to remove the case to federal court. There are 14 cases filed in New Jersey, almost half the amount of the MDL’s most recent count last time I checked. Last week, the New Jersey Supreme Court shot down a request to centralize all Tylenol claims. Why? They did not say. But don’t be surprised to see this request again. Because as more awareness gets out there, more people are going to realize that Tylenol is the cause of their liver injury. Communication to consumers and health care providers of the risks associated with acetaminophen are inadequate. The desire for profits stop McNeil from getting the word out to its customers and health care providers. If you have a Tylenol liver damage injury or wrongful death claim, call us at 800-553-8082 or get a free, no obligation consultation on-line.